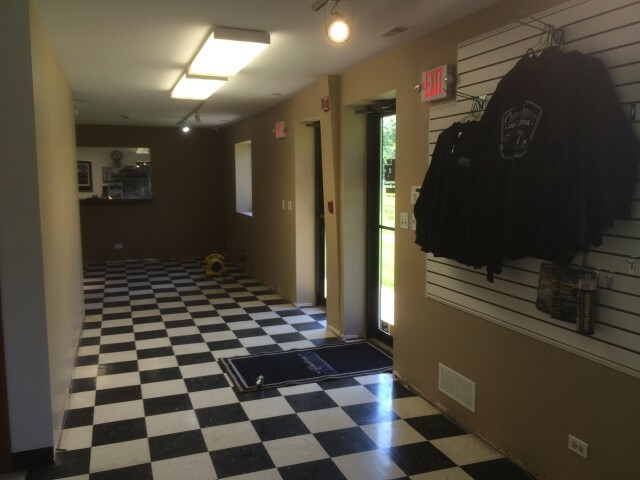 Showroom, Lobby, and Conference Room Renovations! 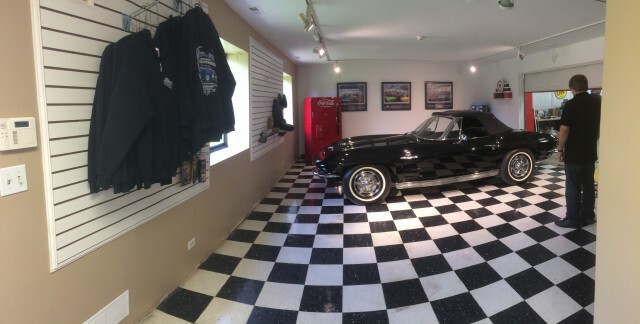 We are so happy to be serving the Chicagoland area and other customers across the nation restoring and repairing vehicles for over 30 years now. During that time, our acclaimed service reputation and dedication to our customers hasn’t changed – however, some areas of our facility hasn’t changed much either. 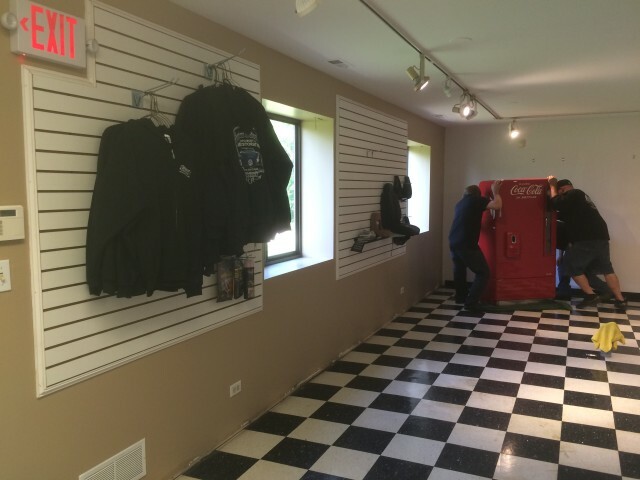 Well, we are pleased to announce that in the next couple weeks, things are going to look a lot nicer around here! So please bear with us during this time – we promise the wait will be worth it! Stay tuned! 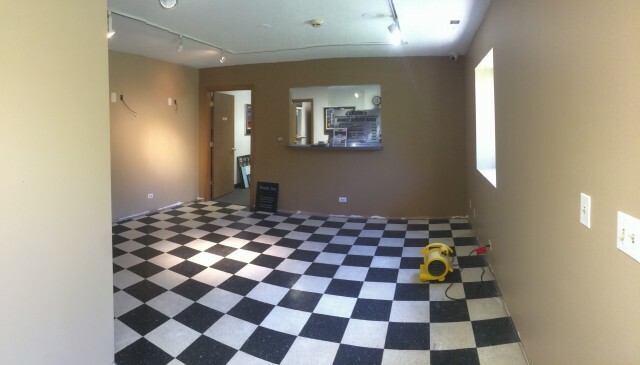 Temporarily pulling a veto into the showroom now that it’s painted. 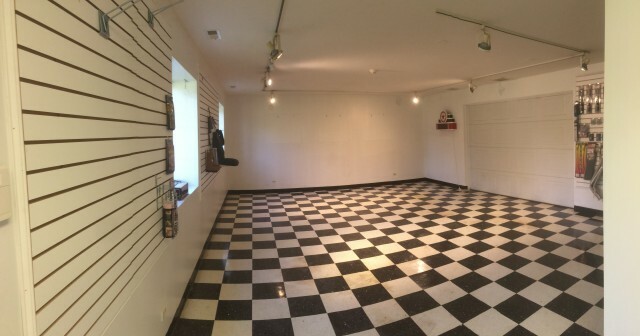 Can’t have an empty showroom! Nice darker accent wall. The flooring will be wood laminate. 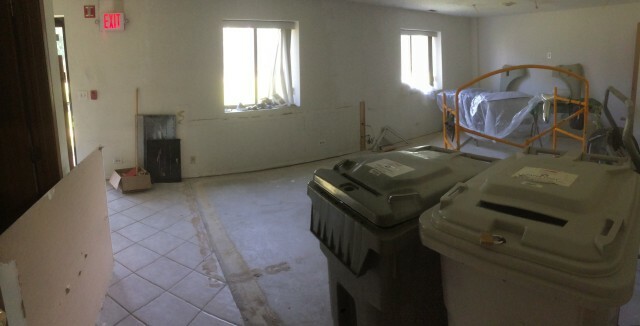 This waiting area will soon have a small “refreshments” area with coffee and mini-fridge as well as a TV. This mess will eventually be a beautiful conference area and office with a large TV to project customer’s car project images on for review.